“Google launched a petition. Wikipedia voted to shut itself off. Senators’ websites went down just from the sheer surge of voters trying to write them. NYC and SF geeks had protests that packed city blocks. But don’t trust predictions. The forces behind SOPA & PIPA (mostly movie companies) can make small changes to these bills until they know they have the votes to pass. Members of Congress know SOPA & PIPA are unpopular, but they don’t understand why–so they’re easily duped by superficial changes. Do not stop. Continue your struggle. Support this movement as much as you can. Even little cent, milligram of your participation you add will come millions dollars, thousand tons of strong still swords of our united force. Place sign of you support stop SOPA&PIPA movement on your site. It’s easy with WordPress plugin Stop SOPA ribbon”. Do you see black ribbon at the top right corner? 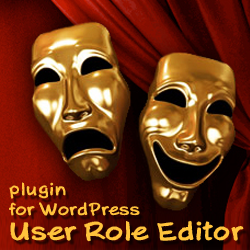 Place the same on you page with the help of this plugin. By default this plugin places little different image. But I like this more, I take it from WordPress.org. Save it on you computer, rename to “stop-sopa-ribbon.png” and upload to the “stop-sopa-ribbon” plugin directory instead of default image from its package. That’s all. You have it. Spead the stop SOPA&PIPA word around the world, tell your friends. If you haven’t already, show this video to as many people as you can. It works! Participate. And free Internet without commercial censorship will win. Because we are all together – THE FORCE. This entry was posted on Thursday, January 19th, 2012 at 10:05	and is filed under General. You can follow any responses to this entry through the RSS 2.0 feed. You can skip to the end and leave a response. Pinging is currently not allowed.